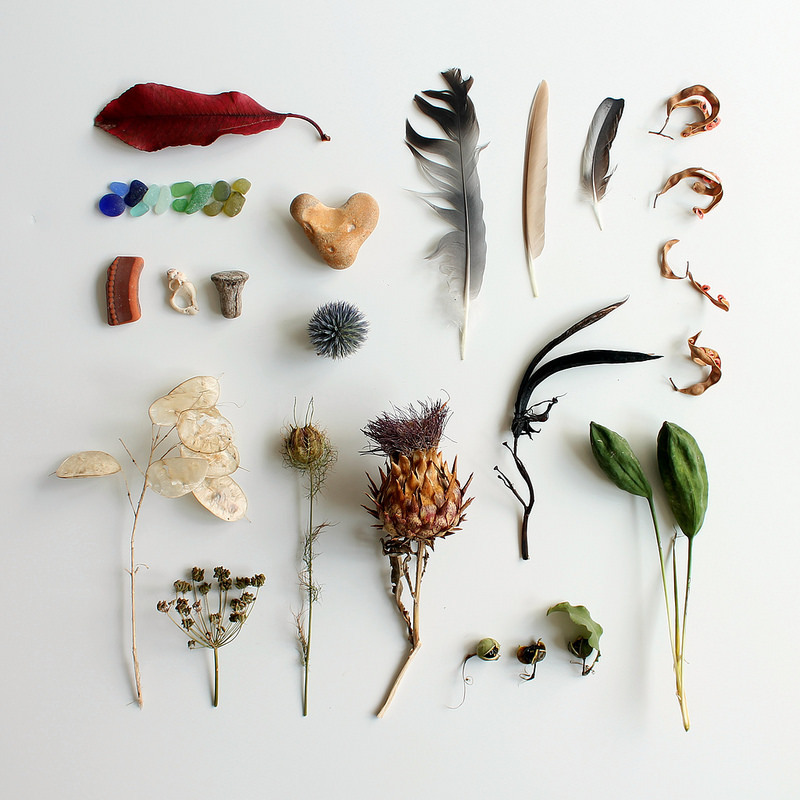 Some of the found treasures we've collected lately... a red leaf, feathers, heart shaped stone, sea glass, beach pottery, wooden nail or stopper? seed pods and dried flower heads. A beautiful collection- love the heart shaped stone. So interesting. I've always loved those 'silver dollar' plants on the left, my grandmother always displayed them in a vase. Just love the shapes, colours and textures in everything you have found! lovely look forwardd to those monthly posts. love the seed pods! i saw some a while back and i should have taken them! I hope you don't mind if I join you and grab your button ?